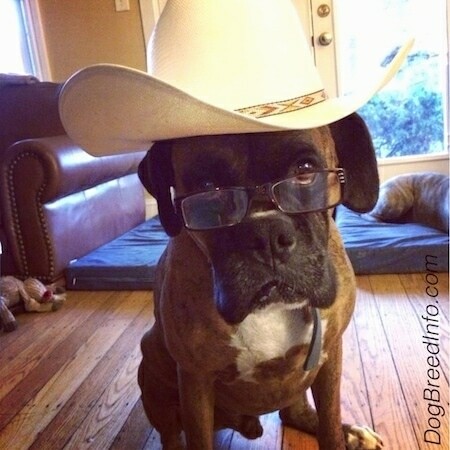 Bruno the Boxer dressed like a cowboy—"Bruno is really good at posing for the camera. 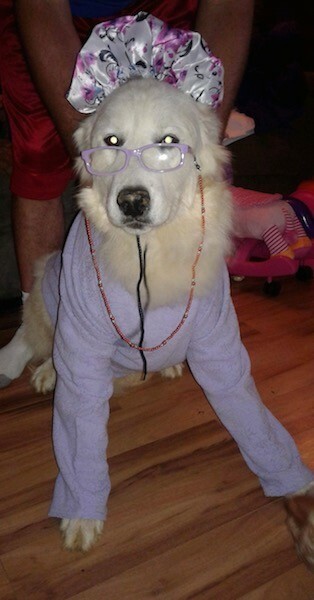 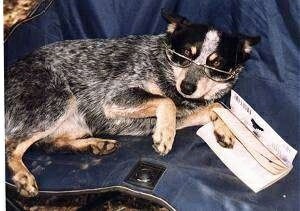 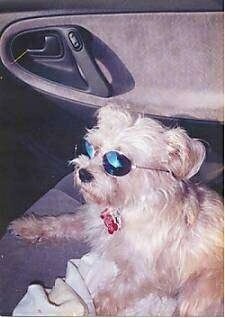 I put the hat and glasses on him and asked him to stay. 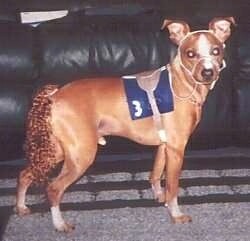 Then I bust out laughing and Bruno stayed perfectly still keeping the pose, but that nubby of his started wagging really fast as if he was laughing with me." 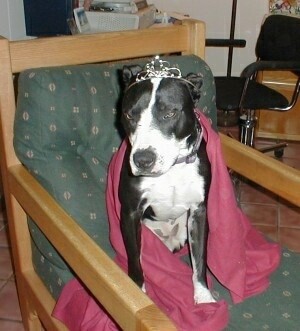 PJ the Boston Terrier all dressed up and ready to go out trick-or-treating. 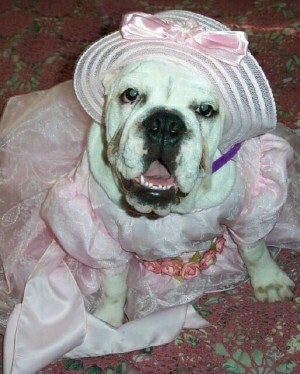 Miss Angel Rose the Bulldog all dressed up. 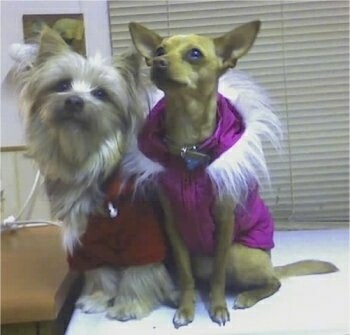 Khayman the adult Sikese (Maltese / Silky Terrier hybrid dog) and Amity the Chigi (Chihuahua / Corgi hybrid dog) wearing their winter coats. 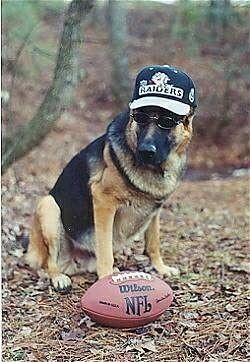 A German Shepherd wearing a hat and sunglasses with his football. 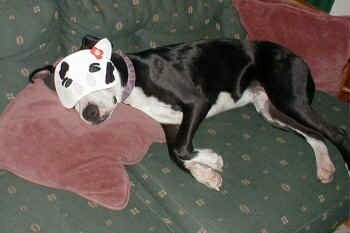 A Pit Bull wearing a cat mask.